boiled cabbage | Abandon Spoon! 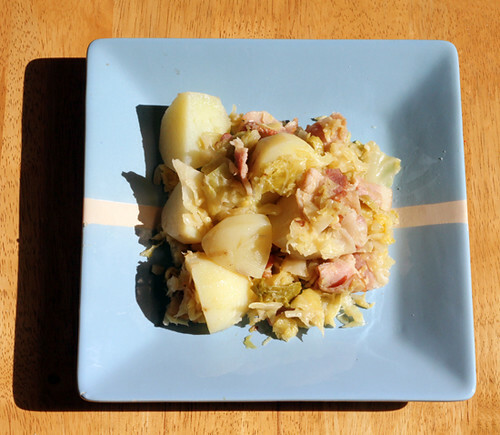 I wanted to make a traditional Irish dish to celebrate St Patrick’s Day. I looked up several different recipes on the internet for the best way to cook with bacon and cabbage, and the general consensus was boil all the ingredients and then put on a plate. So I thought I would see what I could do. I decided to use smoked bacon as this would give it a slightly different flavour to the traditional dish.